IR astronomy group, Nagoya Univ. Infrared light is electromagnetic radiation in the wavelength range from one to a few hundreds of microns. Our laboratory develops astronomical instruments and performs observations in infrared with space satellites, balloons, and ground-based telescopes. Small solid particles, called dust grains, exist in the Universe. They play a crucial role such as in production of organic material indispensable for life, formation of rocky planets like the Earth, and evolution of galaxies. We aim to understand how the present-day universe has been shaped and chemically enriched through observations of dust grains, their production and evolution. 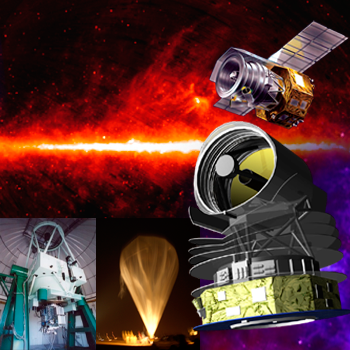 The next-generation infrared astronomy mission, SPICA, has been selected as a candidate future mission by the European Space Agency! 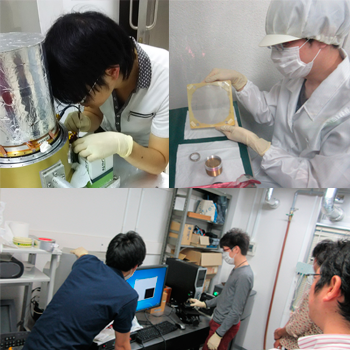 Our lab will keep leading the developement of the mid-infrared instrument, SMI. Five members joined the balloon experiment in India. The observations of star-forming regions were successful again! Four members joined the balloon experiment in India. The flight and observations were successfully done! The sign of a planet was found in a young protoplanetary disk in Orion (NAOJ page). Seven members presented the research results in the AKARI international conference. 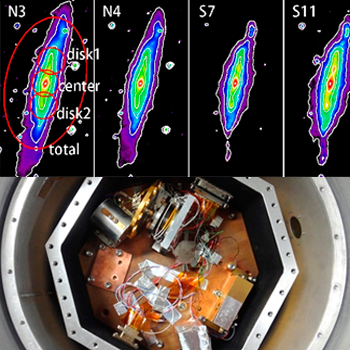 IRSF catches the light from the source of gravitational wave! Please see the news page (NAOJ) for details. New posdoc joined our lab., and the member list is updated. The technological breakthrough has been achieved in developing new infrared detectors (TES), which will be on board the next generation space satellite, SPICA. Please visit the page in SRON for details. Member, papers, and project pages were updated. Campus map can be found here. Please see member list for contact information of each member. 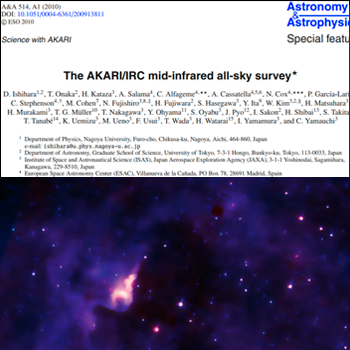 Copyright © 2017 Infrared Astronomy Lab, Nagoya University. All Rights Reserved.